Brown Pearl Pendant & earrings jewelry set crowd pleasure dazzle the masses in this captivating original Swarovski brown 10mm Pearl surrounded with rhinestones. Perfect gift for mother sister or wife. 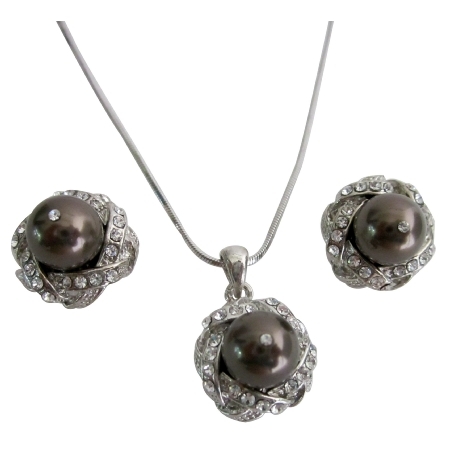 Material Used : Necklace & Earrings 10mm Swarovski Pearl with rhinestones. Pendant adorned in quality Silver chain.